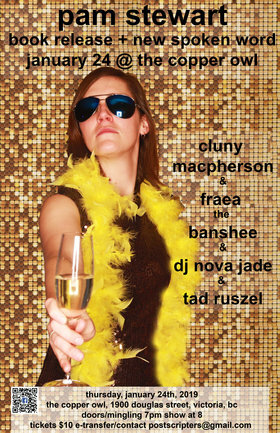 It's a book launch, it's show, it's a dance party! But mostly? It's an occasion. You should really be there. On January 24th, Pam Stewart will be releasing an all new set of spoken word entitled, "The I Am/We Are Comedy Tour" to celebrate the release of her new book of essays, "I Really Thought It Would Be Easier Than This." 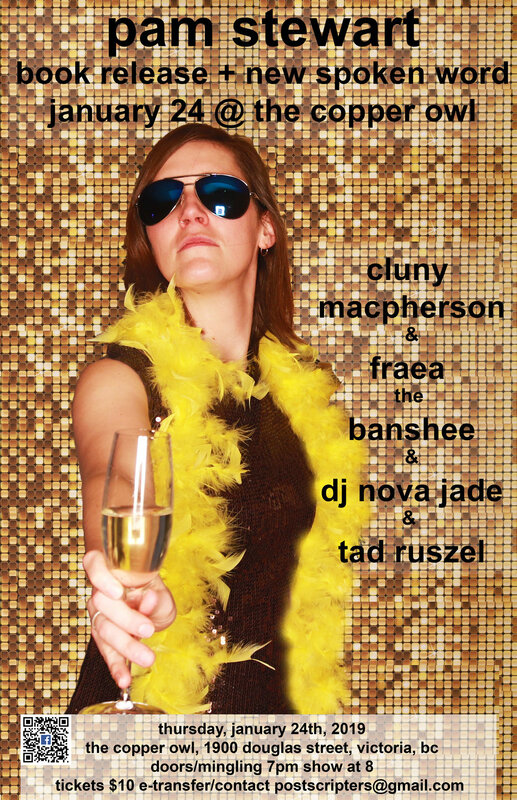 The night will feature sets from local musicians Cluny MacPherson and Fraea The Banshee and, to cap the evening, DJ Nova Jade will be playing a set for all of us in attendance to dance our cares away to. It's going to be dreamy. It's going to be January. It's going to be worth showing up for. For advance tickets, e-transfer $10 to [email protected] (no hidden ticketing fees!). Show starts at 8pm sharp. We'll be mingling and getting cozy beforehand though, join us!